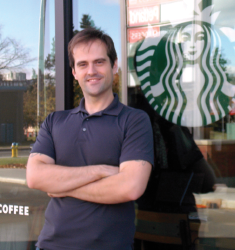 Starbucks store manager Jason Underhill said his store got involved with EmployAbilities when approached by Job Developers and other EmployAbilities staff. “They assisted with two hires and assisted in presentations and mock interviews,” Underhill noted. His advice for anyone thinking of hiring someone with a disability?